WIA caught up with London Art Fair director, Sarah Monk, who explained how this year’s female only presentation of Dialogues came about. WIA: This is London Art Fair’s 30th Edition – happy birthday! Sarah Monk: Thank you! I have been involved in the fair for just over half of it’s time, this is the 17th edition that I’ve been involved in, one way or another. I joined the team to work with the galleries initially, and look at the strategic development around the different sections and then worked my way through various roles, becoming director in 2013. So 2014 was the first edition as a director. This has been my fifth. WIA: How have things changed? SM: I worked under two different directors before I took over so I think there’s been a sense of a passing of a baton. I think people like to honour the past, and honour the foundations of the fair. Which is to acknowledge the climate in which the Fair operates and to use its galleries, stakeholders and committees to inform it’s strategy and development so that it’s reflective of and supportive to the challenges and the environment it operates in. 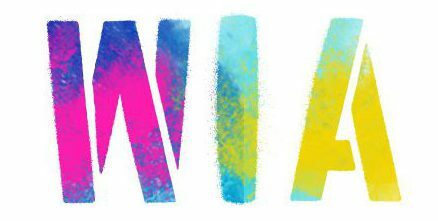 WIA: Can you tell us about Art Projects? SM: We launched Art Projects to show the most interesting emerging talent in the galleries. We want to reflect what the galleries are involved in, and provide a space where galleries can put on ambitious presentations, if they wanted to do something which wasn’t necessarily playing it safe in the commercial presentation. They can do things like dedicate a space for a screening booth, or present artists working in unusual media and show installations which aren’t necessarily as commercial as you might say takes place in the main fair. WIA: How did the Dialogues section of Art Projects come about? SM: When I took over as director, one of the new initiatives I introduced was Dialogues. We were looking at ways to foster international gallery and artist collaboration within an art fair context. To forge a creative and cultural exchange to support a gallery who might not have previously exhibited in London, and to help introduce them to our audience within the fair, helping those introductions to collectors, and having some form of conversation between their artists. WIA: Why did you choose to make Dialogues female only this year? SM: Each year with Dialogues we approach a curator who has a particular resonance with what’s happening around us. This year we invited Misal Adnan Yıldız. We gave him the brief, which was to include five UK galleries, five international galleries, and approach that as he wished. Adnan decided to put on an all female artist presentation. it’s the first time Dialogues has been exclusively female artists, which is wonderful. We’re really pleased to have him on board and to have taken this particular direction. What’s interesting is how visible this is as a female only presentation. You don’t necessarily encounter the stands in Dialogues that are interpreting this theme and immediately feel ‘oh this is an all women show’ . Of course, when you engage with the presentation you have the understanding that it’s all female artists and it allows you to consider what you’re being presented with, but it’s it has an absolute natural place in a broader context. WIA: How do you feel in terms of the #metoo campaign in the art world? SM: I can only speak for my own perspective, that it’s a cause for concern, and it’s good to see that there’s a back drop and a climate through which people will feel more enabled and supportive to have a voice and to make sure that disparity is not commonplace. 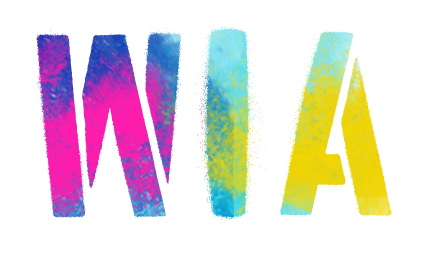 WIA: How do you think things might improve for women artists in the future? SM: From my years at the fair, and conversations with women artists, I certainly am aware that there’s decisions you make as a woman that have an impact. In terms of artistic production, it’s clearly very difficult to make decisions where you’re able to start a family, have a family and sustain your practice. And in terms of the pressures with galleries and their focus on doing fairs and the ability to showcase their artists to meet new clients. I think it’s fantastic, but I’m mindful that it does mean for artists there’s increased pressure. The volume of work the galleries require artists to produce in order for them to do these fairs, and the difficulty of having to be able to sustain yourself and your practice to keep the dealer involved. I do recognise and have had conversations with artists in the past around that. I think as an industry, there’s an acknowledgement that it’s very difficult but not a solution around what the alternative looks like.